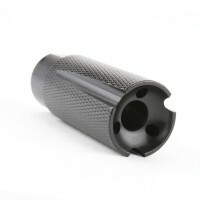 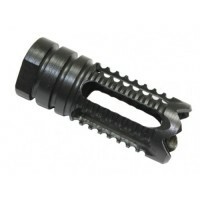 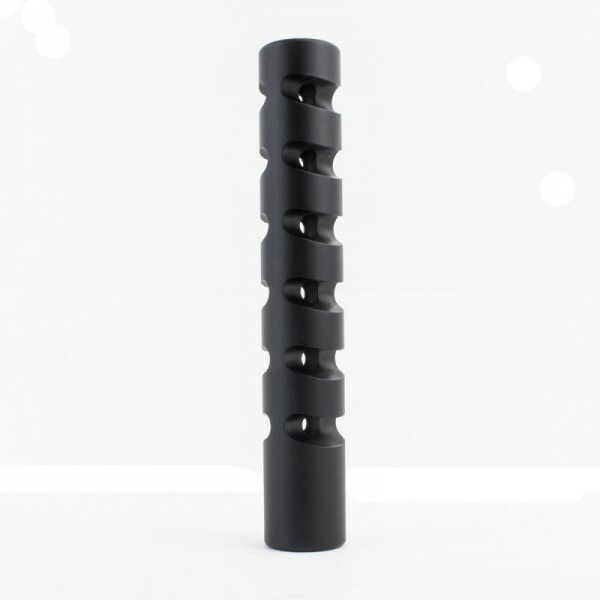 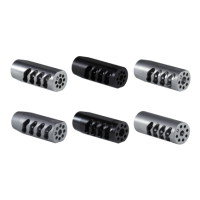 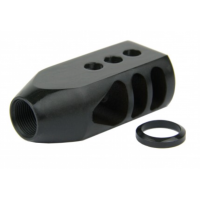 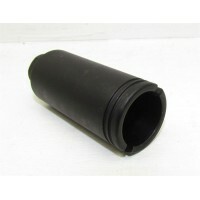 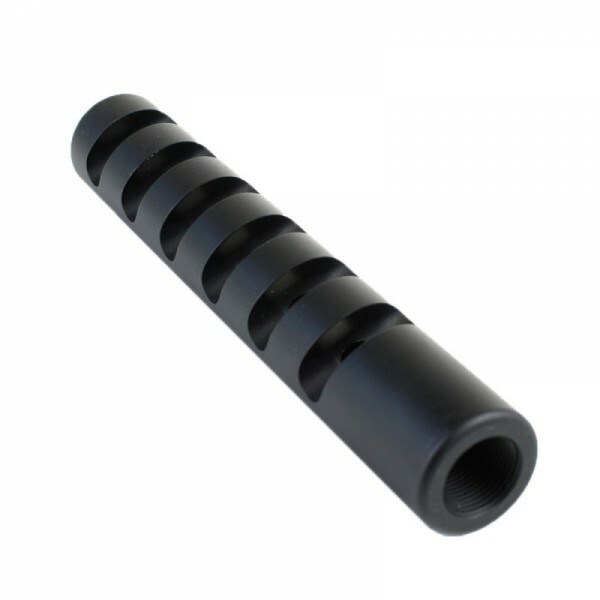 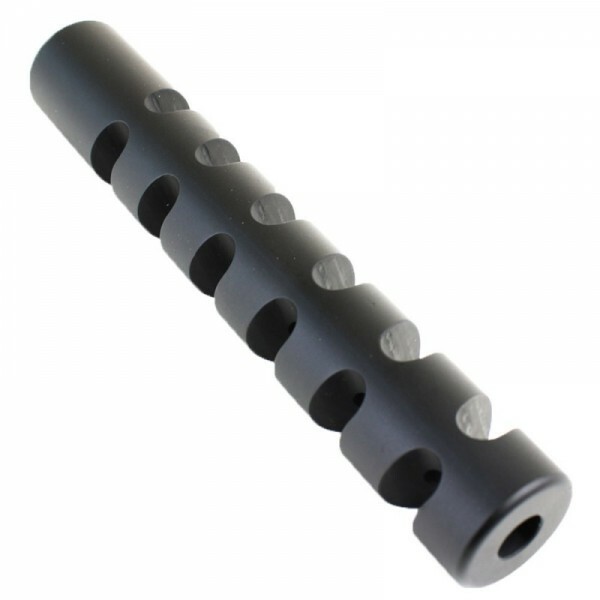 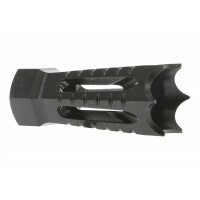 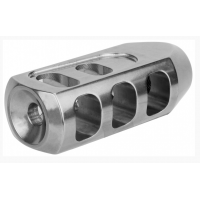 This 6" long Gilled muzzle compensator is designed to significantly reduce muzzle rise and overall felt recoil. 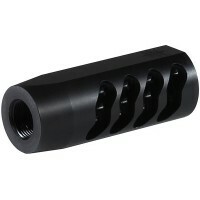 It redirects pressure to the sides and back using twelve 45 degree angled ports. 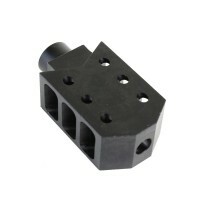 Precision machined high quality 6061-T6 aluminum and a smooth, matte black finish give this brake a unique and aggressive profile.